Discussion in 'iPhone and iPad Games' started by PeteOzzy, Apr 27, 2015. 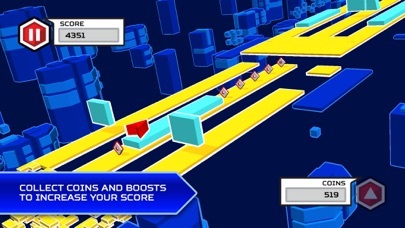 How long can you survive the obstacles of the Tron-like digital world of Morpha? 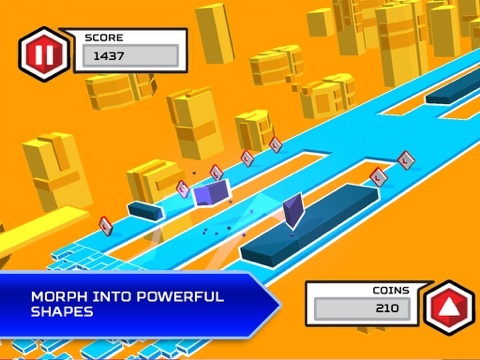 Morpha is a new independently developed Endless Runner game which offers you the chance to pit yourself against a procedurally generated maze filled with traps, obstacles, coins, and power ups. 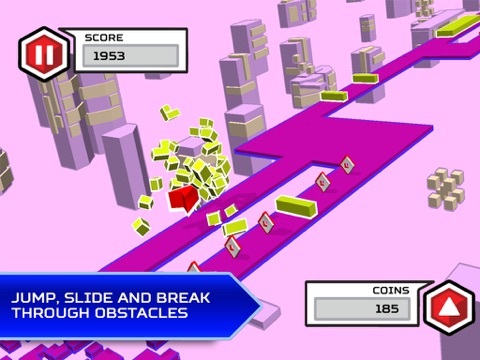 Race through the digital landscape, changing colours as you power through the world, controlling both the player and landscape by tapping gaps and double tapping blocks to ease you through the environment. It’s easy and fun to start, but challenging to master as the speed and difficulty increases every time you pass through a checkpoint. Can you handle the frantic gameplay? 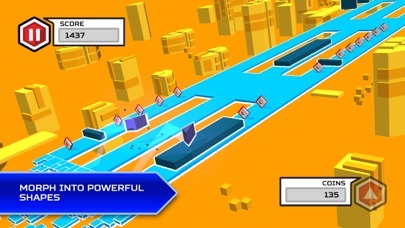 Morpha’s features and gameplay include: •	An infinite procedurally generated course. 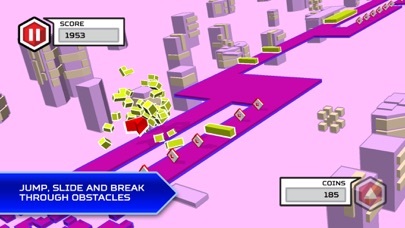 •	Engaging and Addictive Gameplay. •	Ten levels of difficulty. •	Boosts that dramatically alter the Gameplay Experience. •	Coin Magnet lets you collect coins in different lanes! •	Stopwatch lets you slow down time and react to obstacles easily! •	Double Coins does exactly what it sounds like it should! •	Double Score does as well! 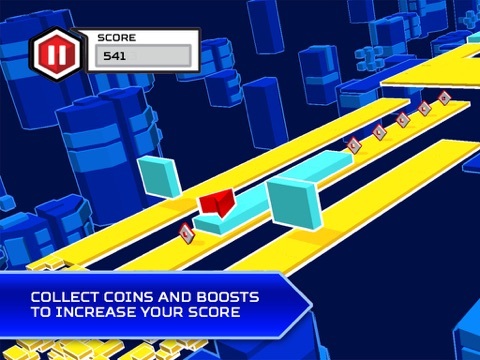 •	Clone yourself and run in two lanes at once for huge score bonuses! 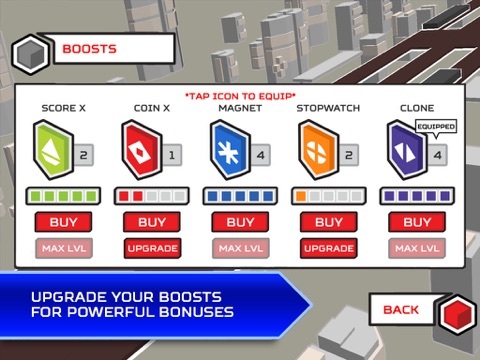 •	Upgrade your Boosts with the coins you collect in gameplay! •	An exciting, evolving soundtrack from the composer of Transformers and Shadowrun: Returns. •	Play in short bursts while waiting for public transport, or longer extended play sessions to beat the higher scores. 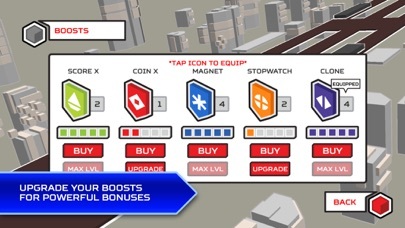 Morpha is Free to Play, but a premium version is available for purchase which offers the ability to start at any one of the previously achieved checkpoints should the player so choose. The controls on this game are not very responsive.